It's damn early in the morning, I woke up right before my alarm clock. Bio clock they say. My phone is my alarm these days. My phone is so much more than a phone today... My phone is also my walkman these days and my phone also projects astral waves in 5D while I can scan right true your clothes. My phone recently got some crazy alien sinewaves teleported in audio format. 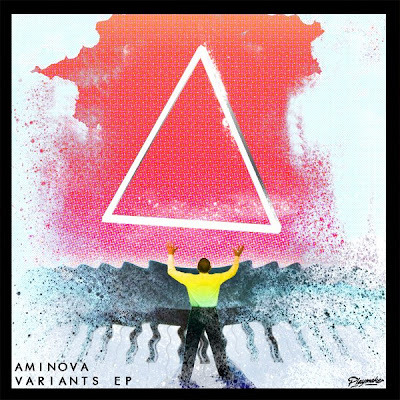 It came in strange characters...I decoded them into MP3 and it spells COMMANDER GREGG AMINOVA///Variants///EP - it's like an alien vessel soundtrack that sends rays of love to planet Earth! Wow!